Crafts and booze? What could be better?! 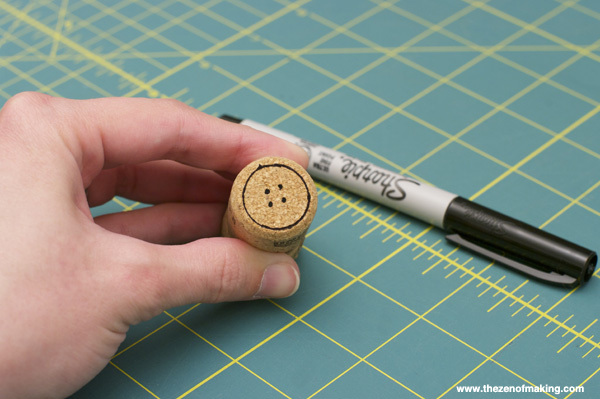 Imbibe, then get your make on with this quick and easy wine cork button stamp tutorial. 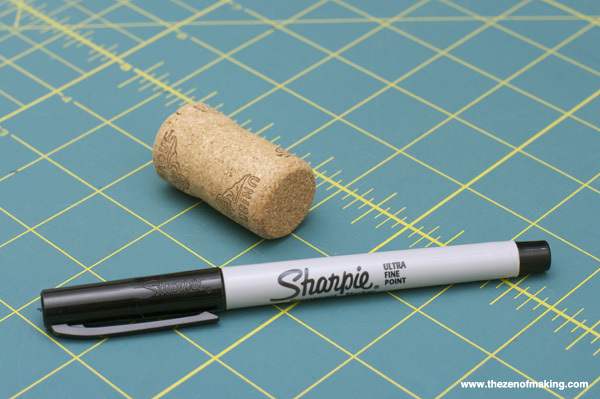 Select a wine cork with a smooth, flat end. Clean it thoroughly and allow it to dry completely before use. 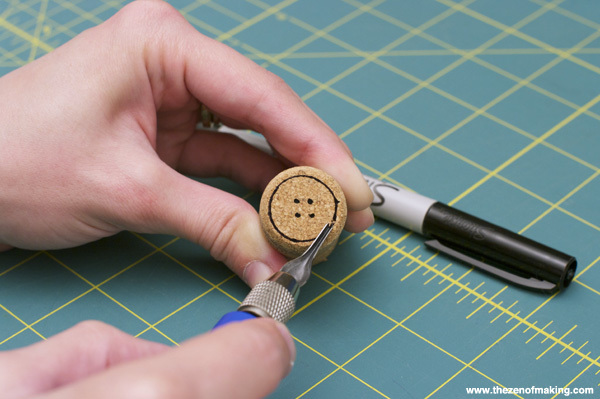 Place a button on the end of the cork, then trace around the outside edge and mark all four center dots. 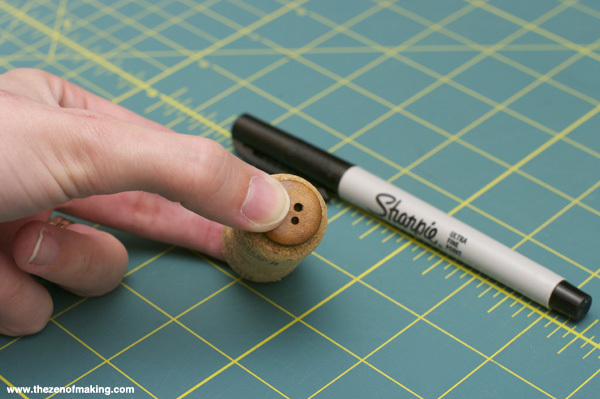 Use a stamp carving tool with a #1 (small v) tip to carefully carve around the outside line that you traced in step 2. 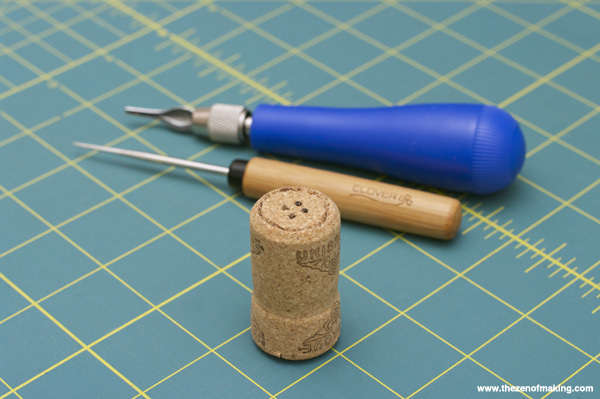 Carve in short, careful gouges, tapping out the excess cork as you go. Use a tailor’s awl to punch out the center holes of the button, then use the awl as needed to clean up the edge that you carved in step 3. 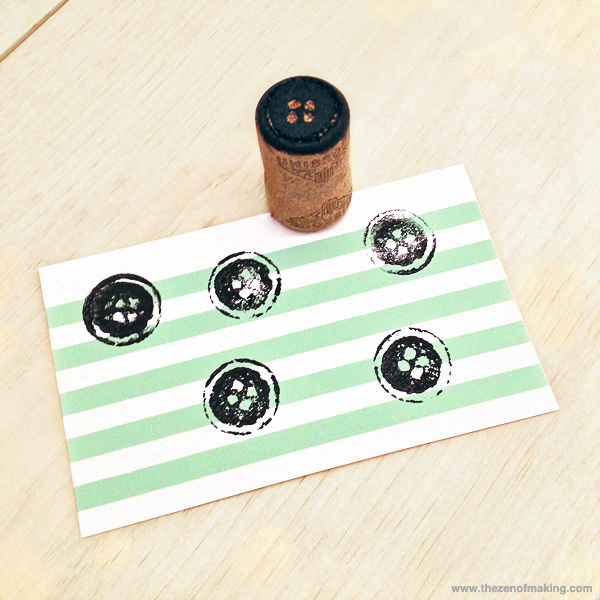 Grab your favorite stamp pad and apply a heavy layer of ink to the cork stamp. 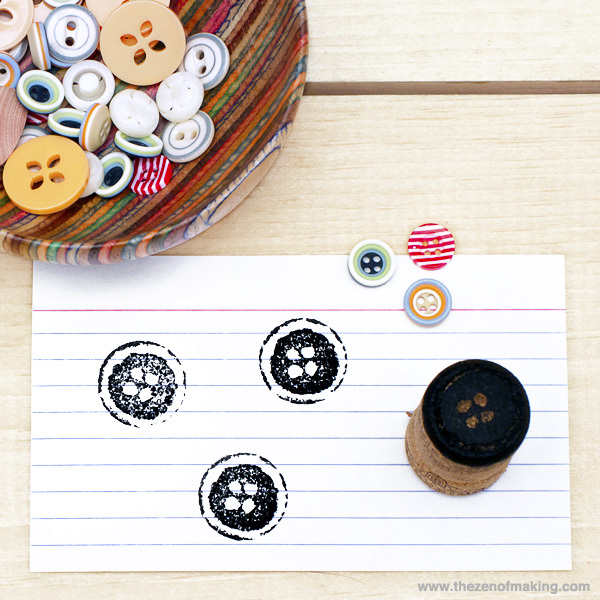 To print, press the inked stamp down firmly onto a piece of paper, rocking it slightly from side to side. To make incomplete or shabby-looking prints, apply less ink to the stamp. Note: If you’re using block printing ink, apply the usual thin layer of ink to the carved surface of the stamp before printing. So cute! Guess I’m just going to HAVE to open a bottle of wine. You know, purely for craft purposes! So smart! I’m saving my wine cork from this weekend! How fun! I want to make some of those. Thanks for the inspiration! I love this idea! I’m going to have to think of other designs that could be carved into corks to make stamps.  I have written a blog post about your post and made sure to put in all of the credit and links. I hope that’s okay! If it’s not, I will be glad to remove it. Just let me know!